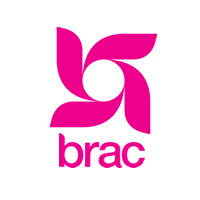 BRAC is one of the world's leading development organizations that have extensive development programs in microfinance, small enterprises development, education, agriculture, poultry, livestock, empowerment and livelihood for adolescents globally. BRAC in Tanzania is seeking application from competent, dynamic and self-motivated individuals to fill up the following position. Job Location: Country Office, Dar es Salaam. Track deadlines, deliverables and r and donors, international and local organizations, Government officials, program partners and ensure successful launch of the new initiatives. Prepare concept notes, proposals, reports and judgment for program in BRAC Tanzania. Track deadlines, deliverables and requirement and proactively communicate with the program managers and donors. Research and maintain detailed information about all BRAC Tanzania current and potential donors, including their funding priorities, history with the organization, proposal documents, milestones and upcoming deadlines to support organization's overall fundraising strategy. Prepare monthly, quarterly and annual progress/narrative reports as per requirement Any other task assigned by the management. Master degree in Business Administration, Economics, communication and public relations, International Relations. Writing, presentation and interpersonal skills. Understanding fundraising environment and process. BRAC in Tanzania is an equal opportunity Employer.